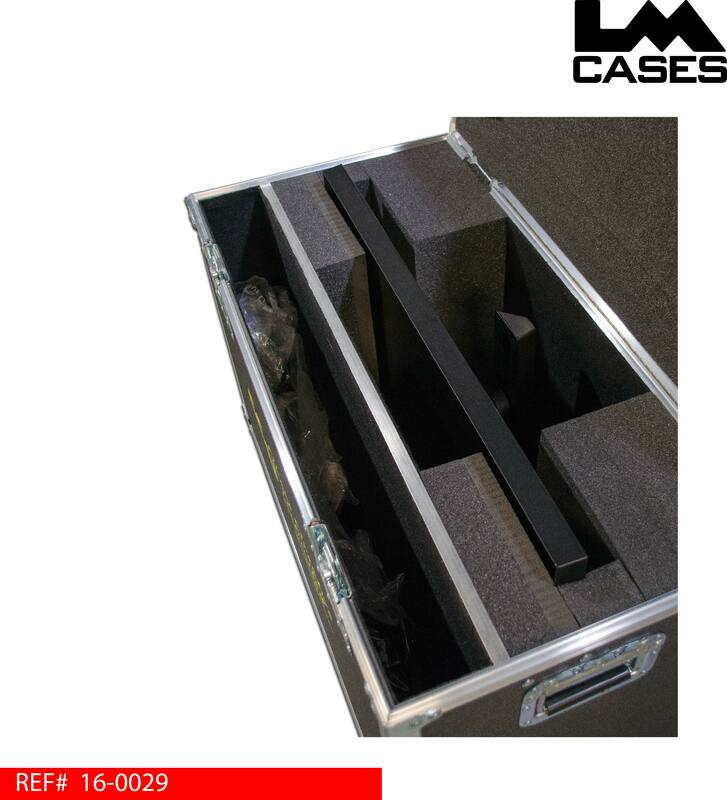 This case was designed to hold a Samsung SD852 32" display. The monitor is held in a custom 2" Ester foam lined compartment that accommodates the display with the telescoping desktop mount attached. The case also features a 4" accessory compartment for peripherals. 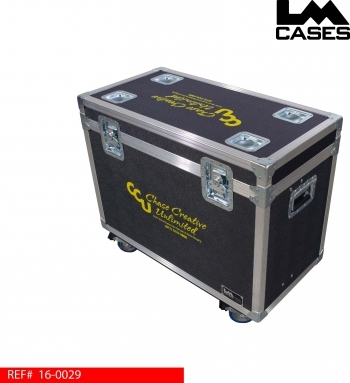 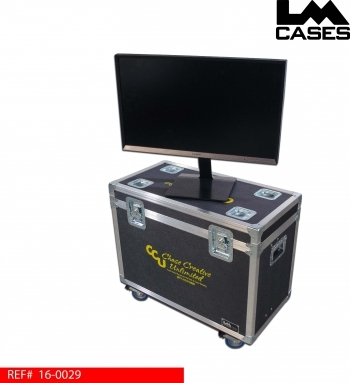 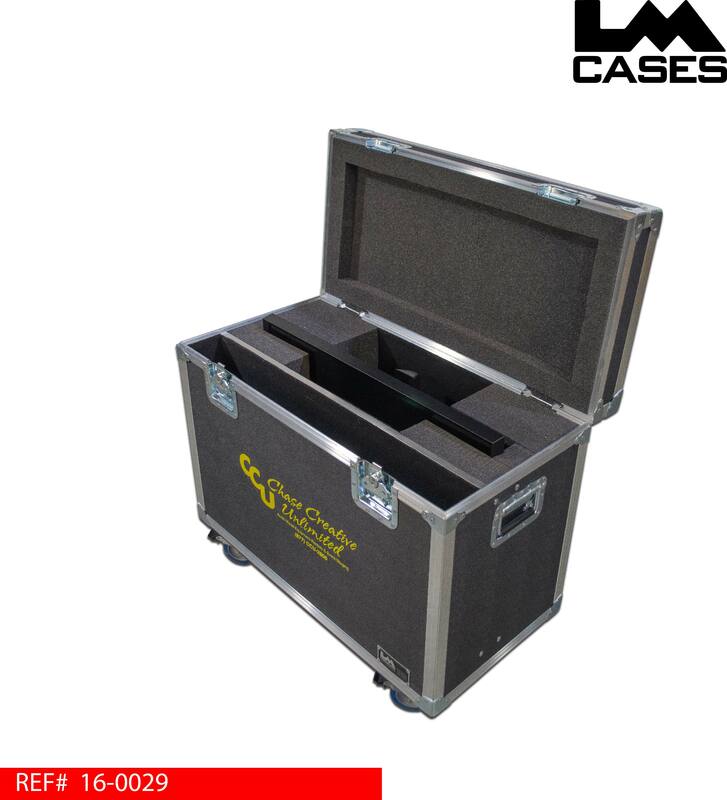 The exterior case is laminated with black ABS plastic and features deep recessed handles, 4" Colson casters and stacking caster wells in the lid. The case also features a custom yellow silkscreen of the Chase Creative Unlimited logo.